Honesty is always the best policy right? Well, sort of. We don't necessarily adhere to this rule where our social media accounts are concerned and I'm as guilty of bending the truth on a selfie as the next immaculately filtered guy. But my writing and my blog, well now that's a whole different ball game! I aim to keep things as real as possible and so I figured it would be good to start touching upon some of my biggest bug bares and personal gripes, maybe as a half hearted bid to come to terms with some of my insecurity and maybe just in case you guys suffer the same annoyances. Whether it's your fat thighs, frizzy hair or in my case horrendous skin, we can talk it out, have a grumble and be grumpy together. Sound ok to you? Misery loves company and two heads are better then one. I'm not saying I'm an expert personal trainer nor that I have a degree of dermatology but maybe some suggestions I might possibly make could maybe, quite possible help you to... Within reason (the amount of times I used "maybe, quite possible" then isn't exactly reassuring is it? I'm quite clearly trying to keep expectations low... I ain't no Gandalf The Gre-"at at life coaching"-y). SO, as mentioned above, my main issue, I have a few but this is the biggie, is my skin. What exactly do I mean by this? Well, its horrible, that's what I mean. I'm not blessed with good skin, just good foundation and the two should never be confused. It's blotchy and I get the worst outbreaks when I'm stressed, tired or rundown and it seems to me I'm almost, always one of these three things. It's got my down for years and for a long period of time I used to really beat myself up about it, I honestly just thought I looked disgusting. But as the years have gone by I've come to realise perfect skin is in the minority, if not a complete myth. The other extremely important thing I've learned as I've got older is just how vital it is that you use all the right products; from your cleansing routine to your foundation. As soon as I started using the right skin care products, it was like a real "lightbulb" moment of not just my skin suddenly looking and feeling tons better but my make up would also feel great. I found my foundation would sit better and would last longer throughout the day, plus when I came to take it off in the evening my face remained looking refresh rather than drained and lifeless. I know I know, "using the right skin care for you" sounds like a blindingly obvious suggestions! BUT it's taken me years and years of using the wrong products, in which I resigned myself to the fact my skin was just plain bad and I needed to just put up and shut up. To then FINALLY finding what works for me and realising, I may never have 100% perfect skin but I can sure as hell come slightly close. Like I said my skin tends to flare up and be a tad unpredictable so what I use daily can differ depending on how bad my skin actually is from week to week. 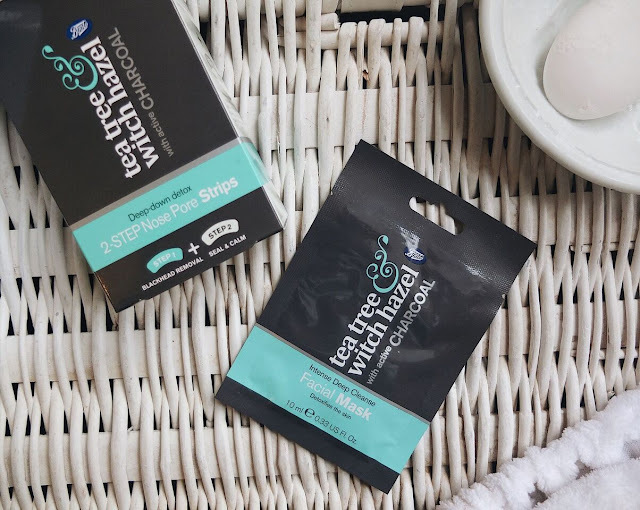 I've found Tea Tree works wonders for my outbreaks and the Boot's own range in particular is a real life saver for me, plus it's easy on your purse as a little bonus. 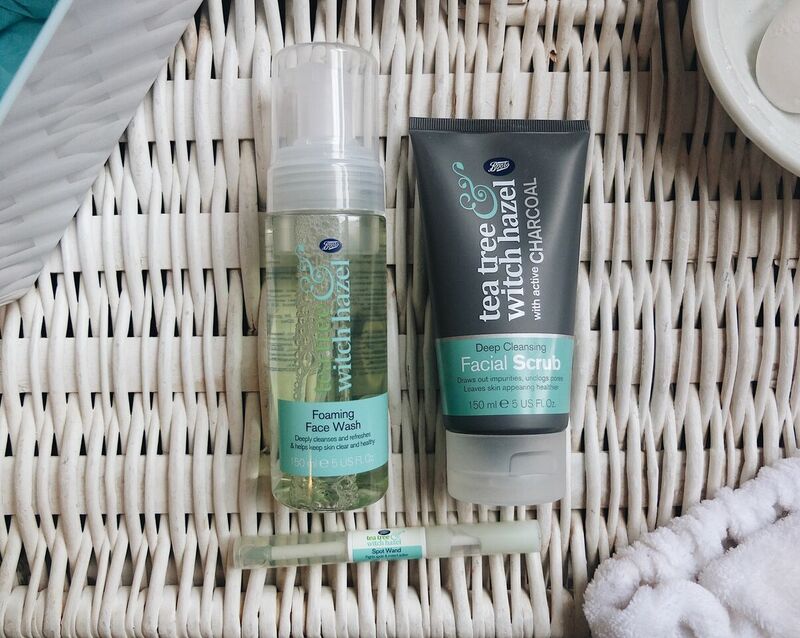 On a daily basis I tend to use the Foaming Face Wash for a more gentle cleanse, it's light on your skin and doesn't feel too harsh. 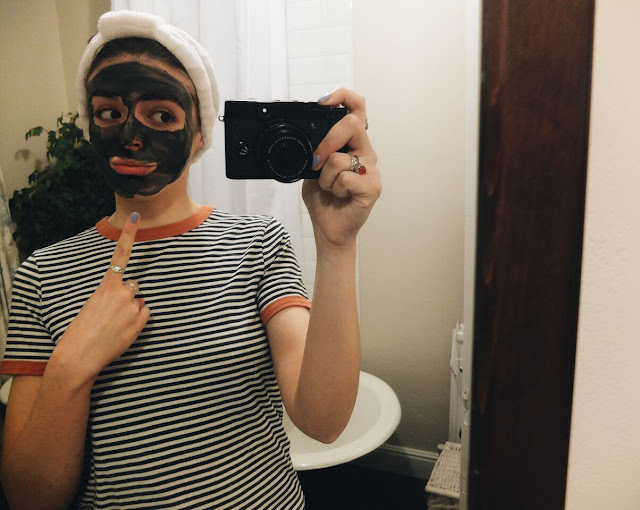 When my skins a little more worse for wear I tend to use the Charcoal Scrub (warning the charcoal scrub is a touch messy so please do NOT use around white towels, unless you like doing the laundry) which acts as an amazing exfoliator however I wouldn't advise to use it daily, not just for your towels sake but it can dry your skin out very quickly. Once/twice a week when your breaking out is perfectly fine. 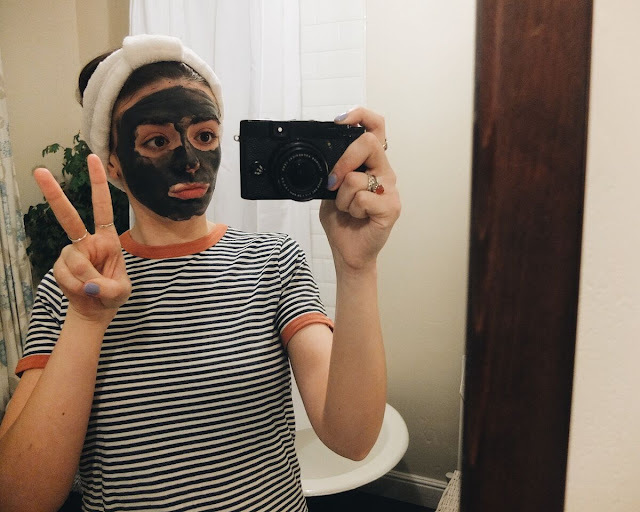 For the odd occasion when I really, really want to have a big o' skin detox, I use the Charcoal Face Mask and Pore Strips. 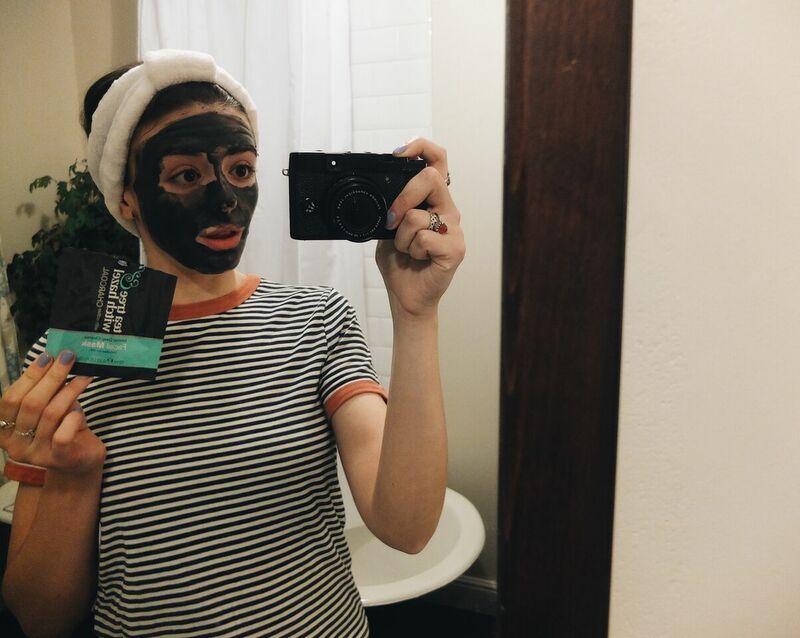 The face mask is amazingly for striping your skin of any unwanted oils and it feels A-MAZING afterwards, super soft like a puppy's belly (obviously that's a very technical term used in the dermatologist industry)! 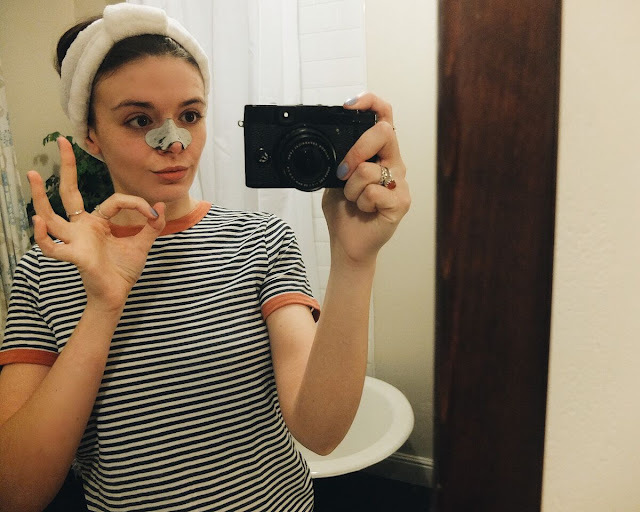 The pore strips will do a similar job, ridding you of any unwanted grease (super helpful for how your foundation will then sit on your lovely face) on your schnozzle but it also deals with any pesky black heads lingering around. 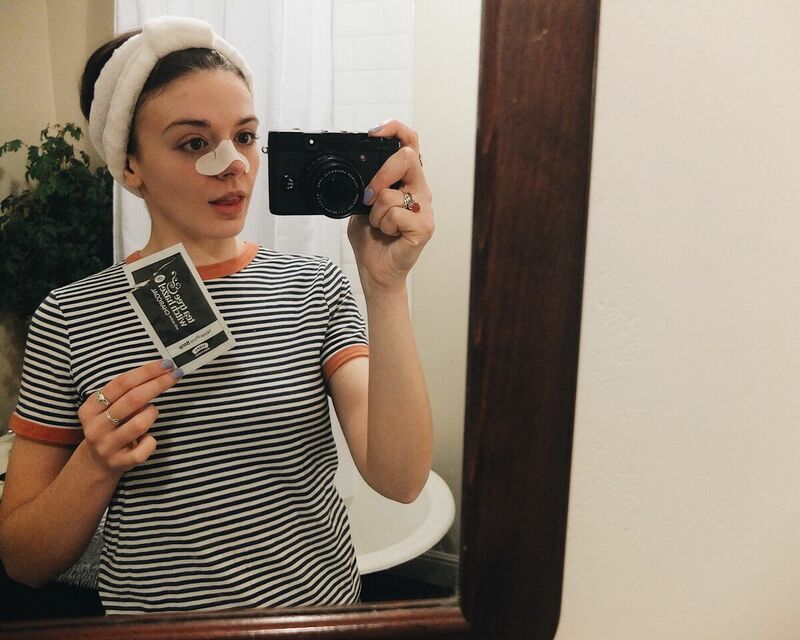 I promise you won't be left with a nose resembling Rudolf after you've used them, the nice thing is it comes in two parts. One which strips and cleanses, and then one which moisturises and soothes. 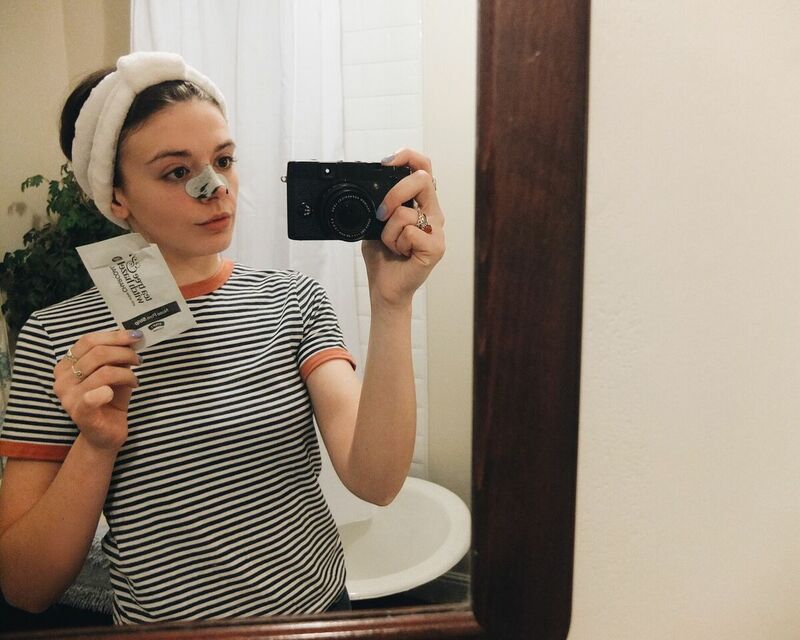 Please see photos below of my looking totally smoking (that's sarcasm, just so we're clear) and demonstrating just how to use both the mask and the strips. Last but by no means least, the holy grail of spot eliminating in my eyes, my ultimate lifesaver, the Tea Tree and Witch Hazel Spot Wand. I carry this little baby around with me everywhere! Effectively all you need to know is as follows; you spy a little spot worming its way on to your face, you whip out your wand, Harry Potter style, you dot the spot and watch your unwanted friend disappear! Voila! There's two ends, one for night use which I like to lay on nice and heavy. And one for the day which is clear, so you can zap your spots completely unnoticed. I could gush about this wand of dreams all day and I pray it works just as well for you guys as it does for me, otherwise my elusions of just how magic it is will be destroyed. But as mentioned previous, skin care is trial and error; what works for me might not necessarily be your skins cup of tea(tree... See what I did there). As long as your being proactive and getting to the source of what works for you, that's the numero uno priority! 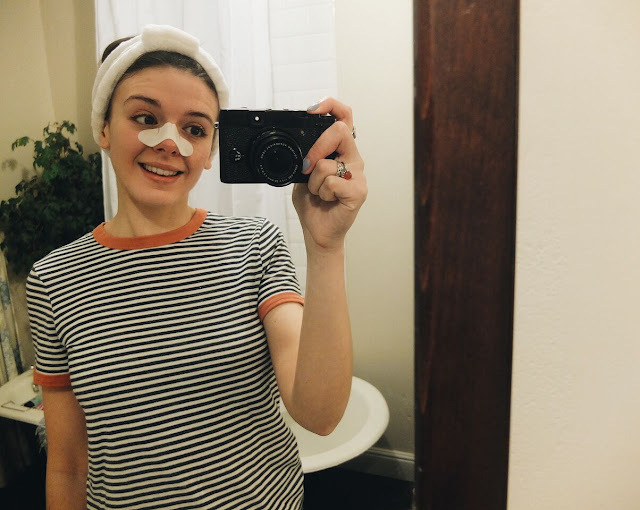 I don't care how superficial it sounds, speaking from experience your skin can truly make or break both your confidence and your happiness, which is why I wanted to come clean (these puns just write themselves) and share my woes with you! To Tea Tree or not to Tea Tree, is totally down to preference but if your skins anything like mine it's definitely worth a shoot!